Levant Mine 2: Due to the size of the single page on Levant Mine I have split it, therefore it will load much quicker. This second gallery concentrates on the area away from the buildings and remains around Skip Shaft. 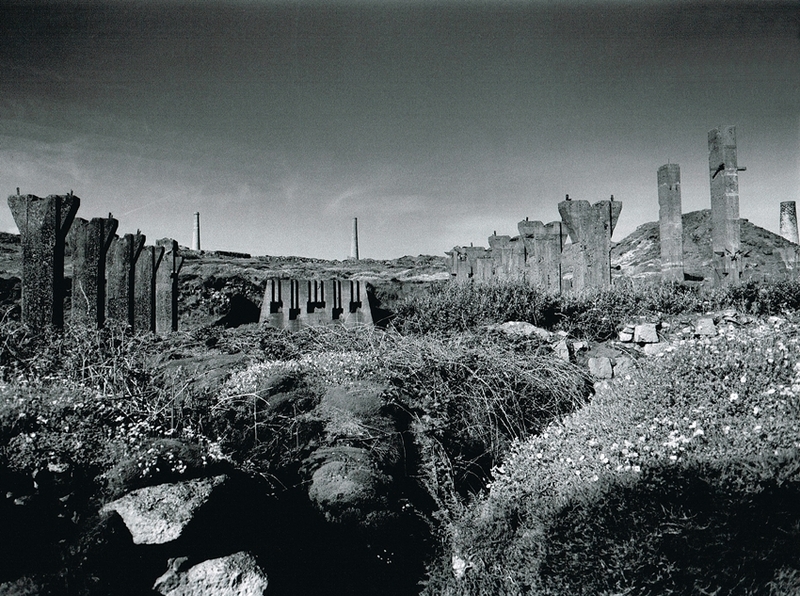 The site is extensive, stretching along the coast path to the base of the Geevor Mine Museum. Above all, the cliffs can be dangerous so please take care. 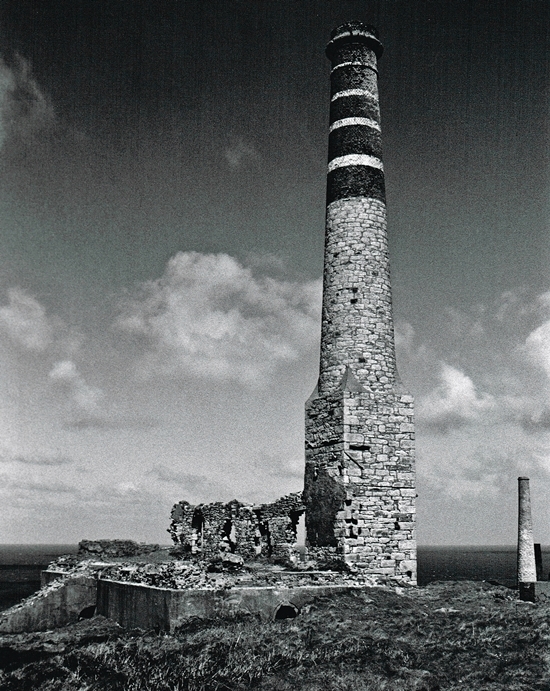 Levant Mine 2.1: First of all, on this page is the Stack that belonged to the ill fated Man Engine, the site of the accident in 1919. There are a few engine mountings and foundations still remaining. Levant Mine 2.2: A view of the whole of Levant Mine from the remains of the Man Engine. 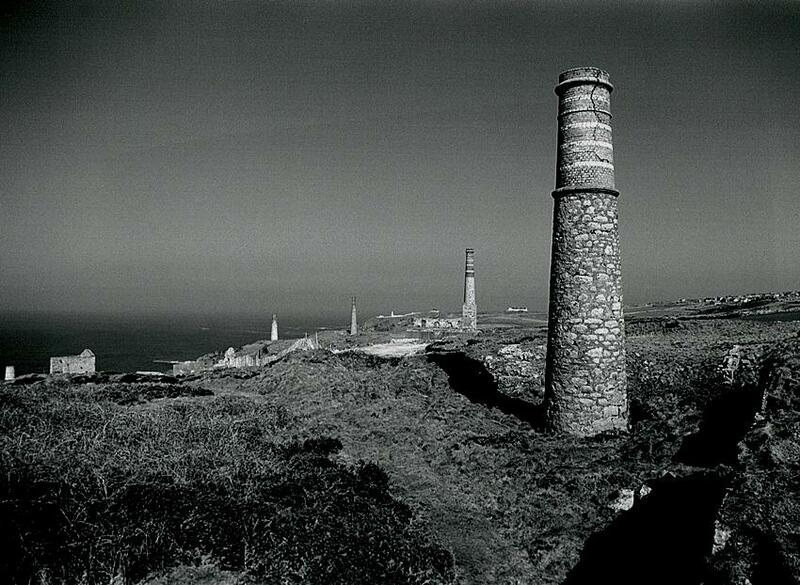 Certainly one of the best views in Cornwall. 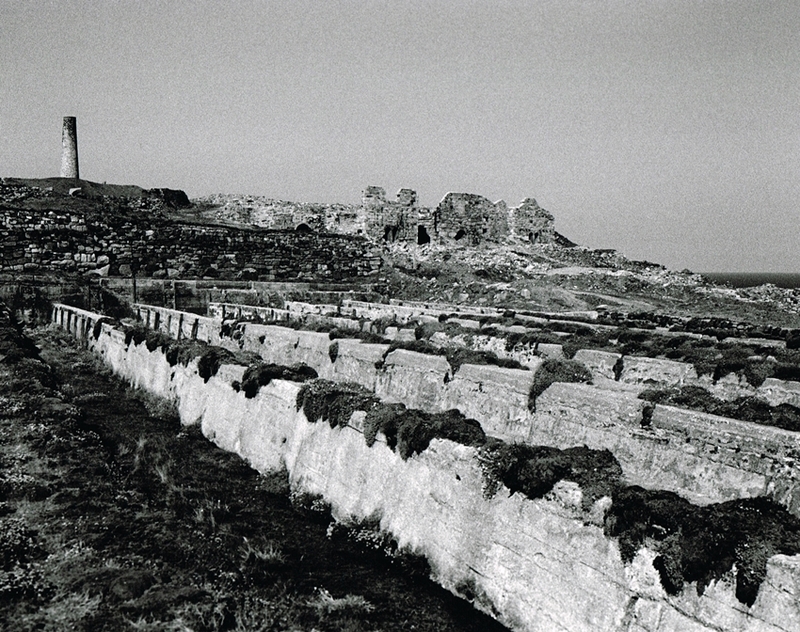 Levant Mine 2.3: These are the foundations of the Levant Mine Miner’s Dry. This was a timber building built in 1889. For the time it was a well equipped with a heating boiler and baths, two of which can be seen in the foreground. 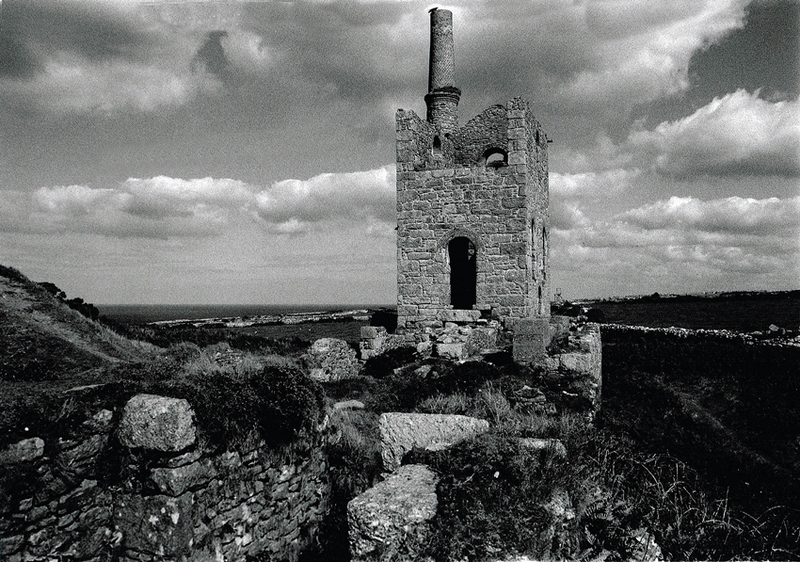 The circular depression in the foreground is the top of the spiral staircase which led to a tunnel which reached the top of the man engine shaft. 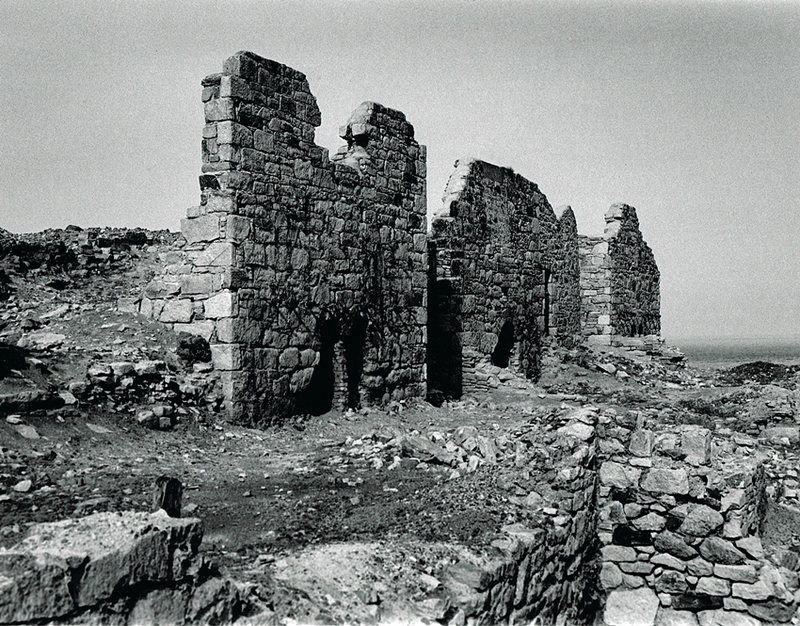 Since this photograph was taken this has been excavated and is open to the public. 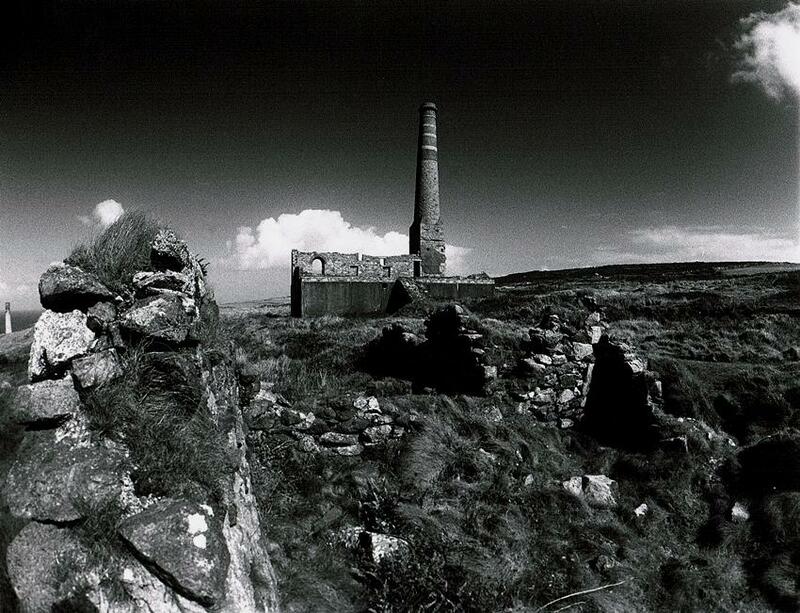 In the background are the chimneys of the Compressor House, the Stamps Engine and the Calciner. Levant Mine 2.4: The 1901 Compressor House at Levant Mine, this produced the air for the drills being used underground. 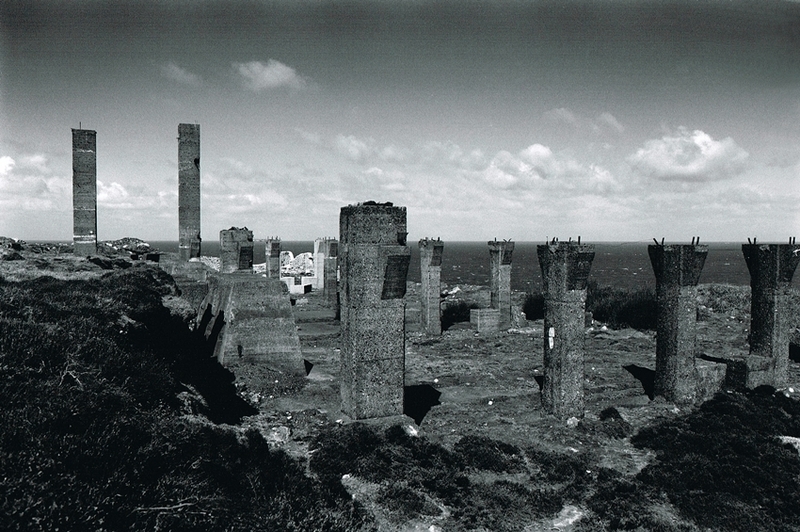 In 1920 it was modernised to produce both air and electricity for the mine complex. 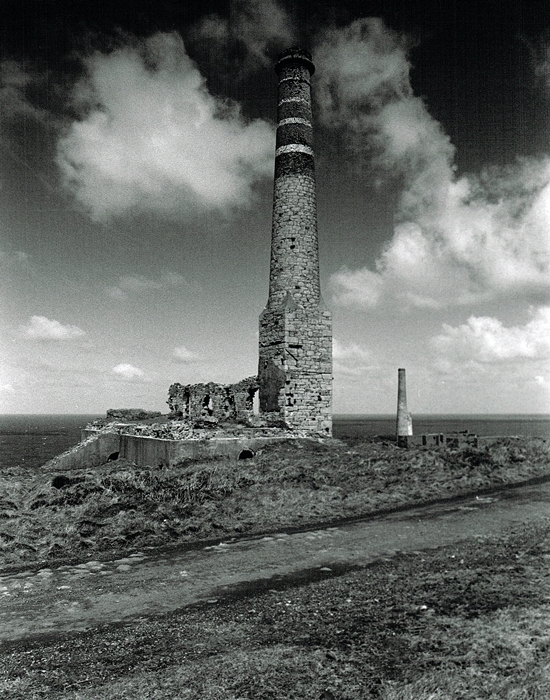 Levant Mine 2.5: It is one of the most impressive chimney’s remaining in Cornwall. 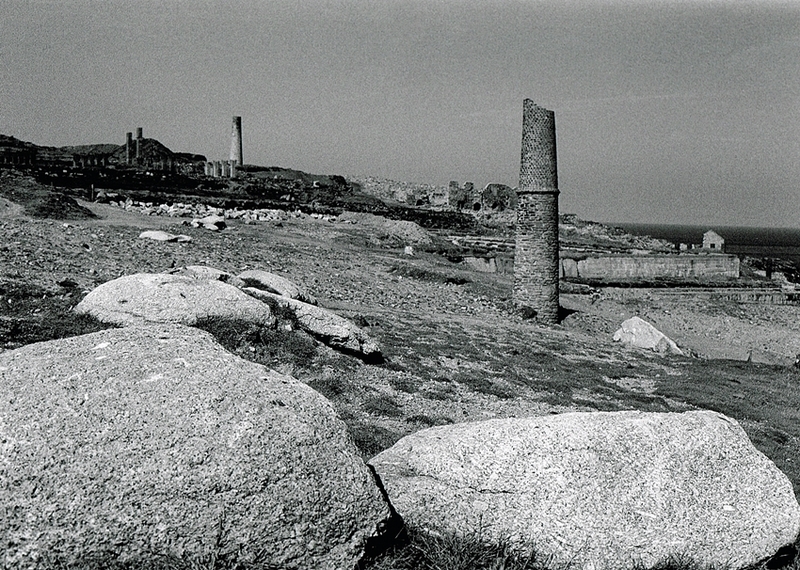 Levant Mine 2.6: Looking across the scant remains of the Stamps Engine House towards the Compressor House in the background. 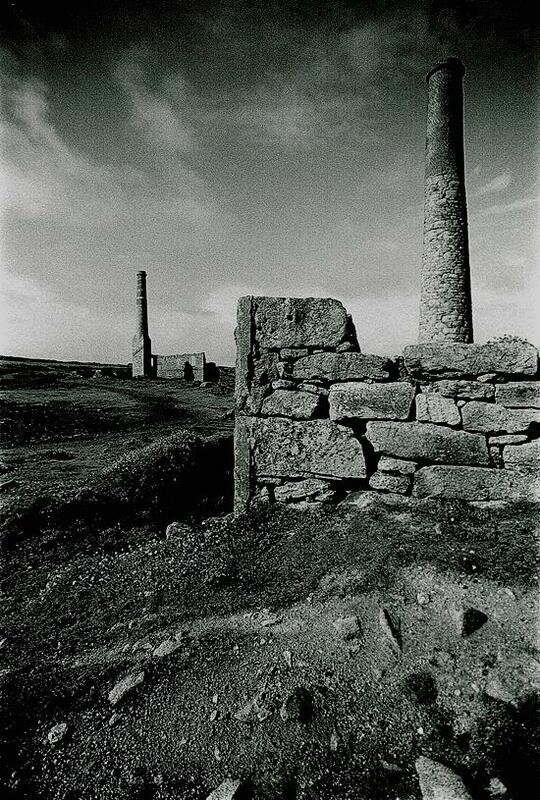 The 32″ engine here drove 76 heads of Cornish Stamps, in front of the house was a shallow shaft to adit level from which the the engine pumped water to the dressing floors . This worked until the early 1920’s when a new mill containing Californian Stamps was built and brought into service. 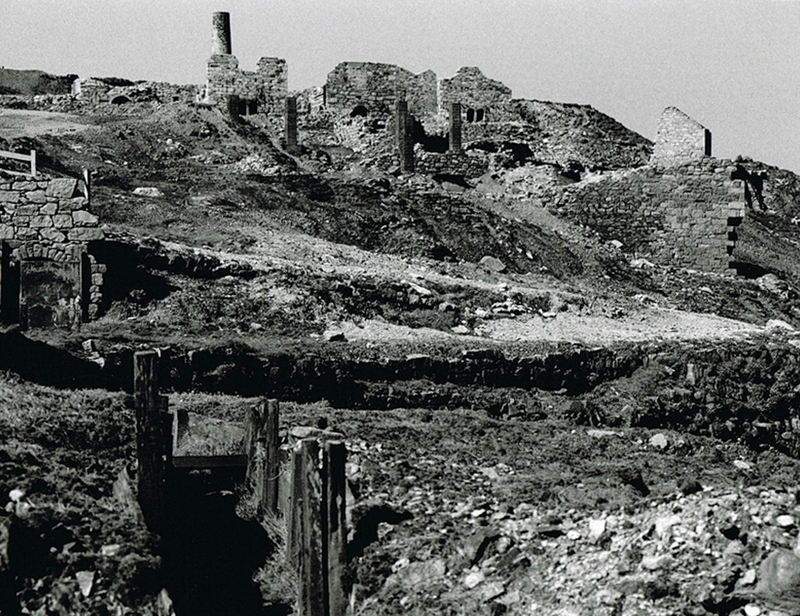 Levant Mine 2.7: The walls in the foreground are the remains of the Levant Mine smithy and mine workshops. Levant Mine 2.8: An interior image of the Compressor House. In the background is the stack of the Stamps Engine. The Steam Compressor engine in this building was constructed by Holman Brothers of Camborne in 1901, it was possibly the largest engine they ever built. At over 60ft long the flywheel alone weighed almost 20 tons. The large hole in the floor in the image is where it was mounted, the boilers were housed on the other side of the wall. In 1920 the engine was replaced by more modern electric generators which supplied power to the mill, and compressors for the underground rockdrills. 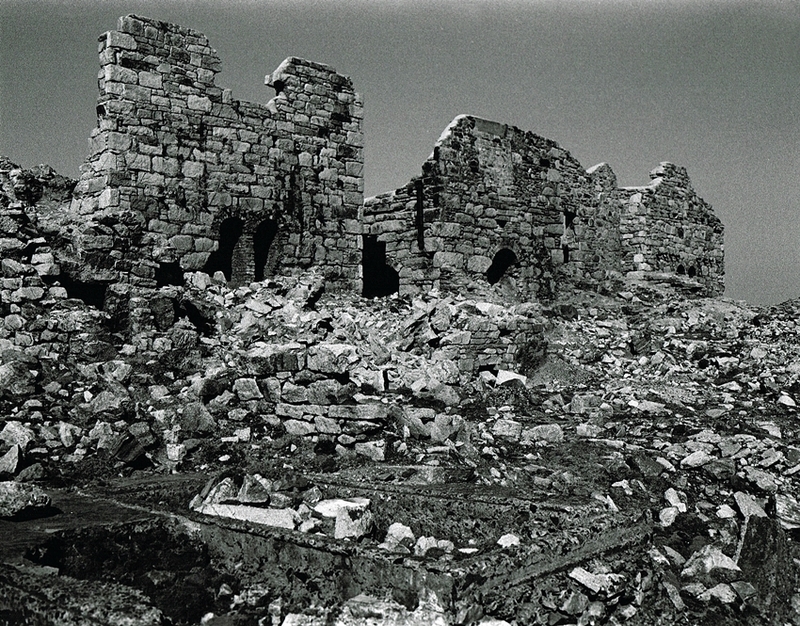 Levant Mine 2.9: This held a Holmans four-cylinder cross-triple-expansion compressor, which powered drills underground. Also, the concrete foundations beyond the walls were for a Horizontal Winding Engine that was never installed. This was planned to serve a new vertical shaft to replace the crooked and narrow Skip Shaft. Levant Mine 2.10: An image of the Levant Mine Compressor House from the boiler side. In the foreground are the remains of settling ponds. 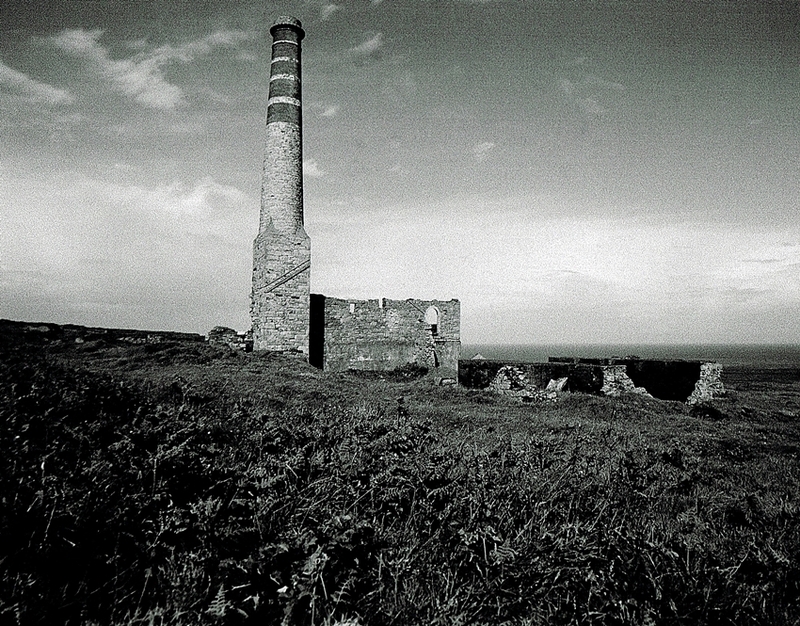 Levant Mine 2.11: A side view of the Compressor House, the roofline can be clearly seen on the base of the chimney. The loadings for the Winding Engine that was never installed are on the right of the image. 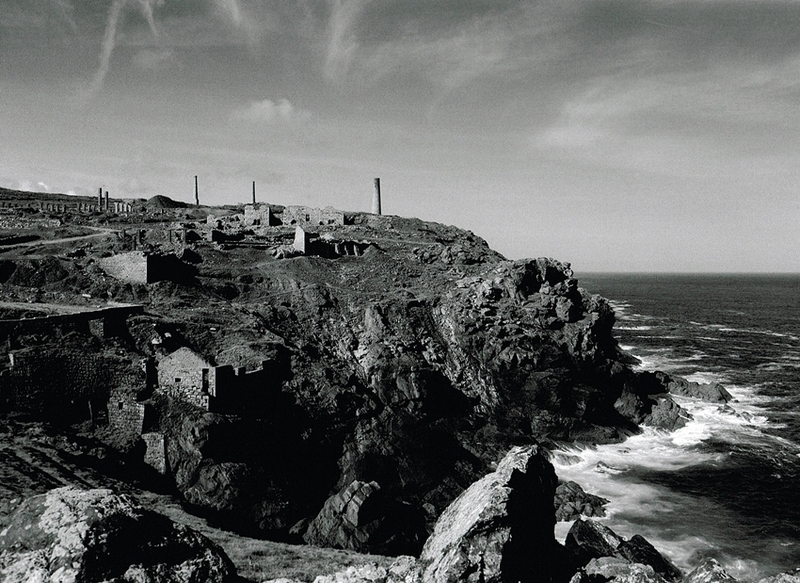 A short distance along the cliffs will bring you to the extensive remains of the Dressing Floors where the Tin ore was processed. The whole area is covered in the distinctive red waste product from the mill. 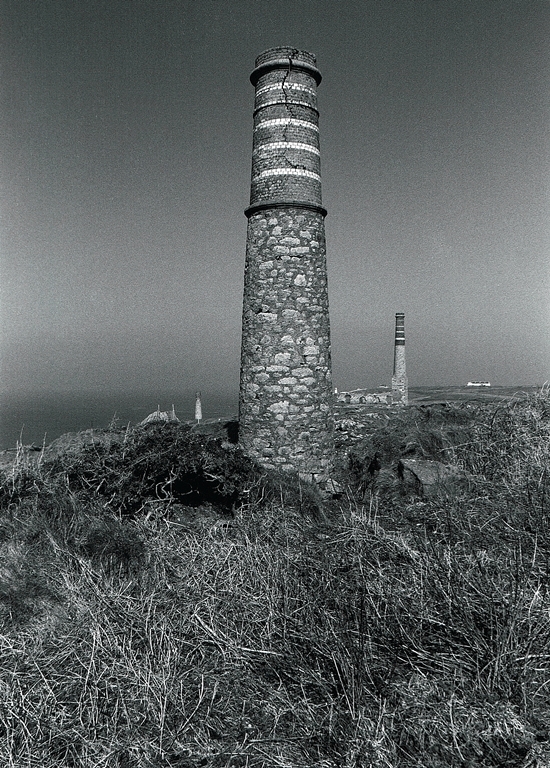 Levant Mine 2.12: The Calciner Stack at Levant Mine. 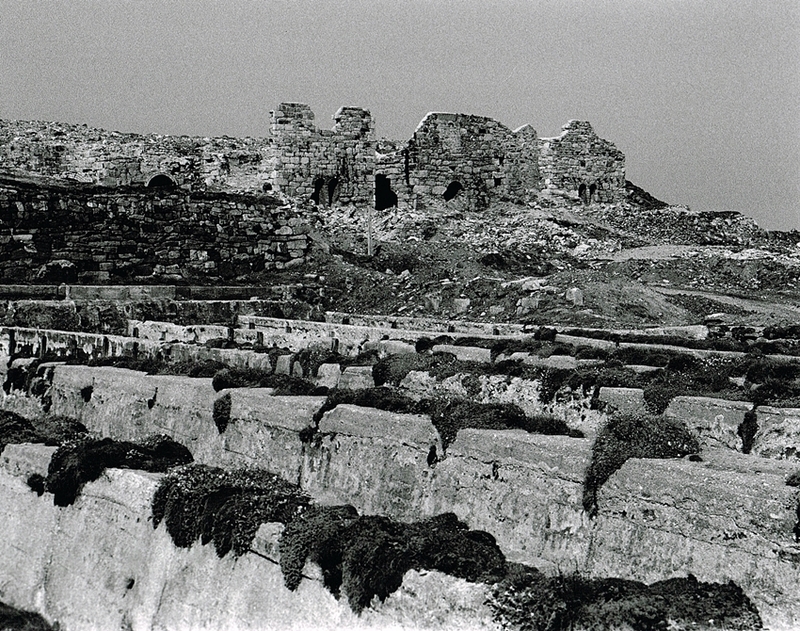 There is very little left of the labyrinth leading from the Calciners which was demolished due to safety concerns. Levant Mine 2.13: The remains of the modern Tin recovery floors which date back to 1922, certainly one of the most impressive areas of the site. 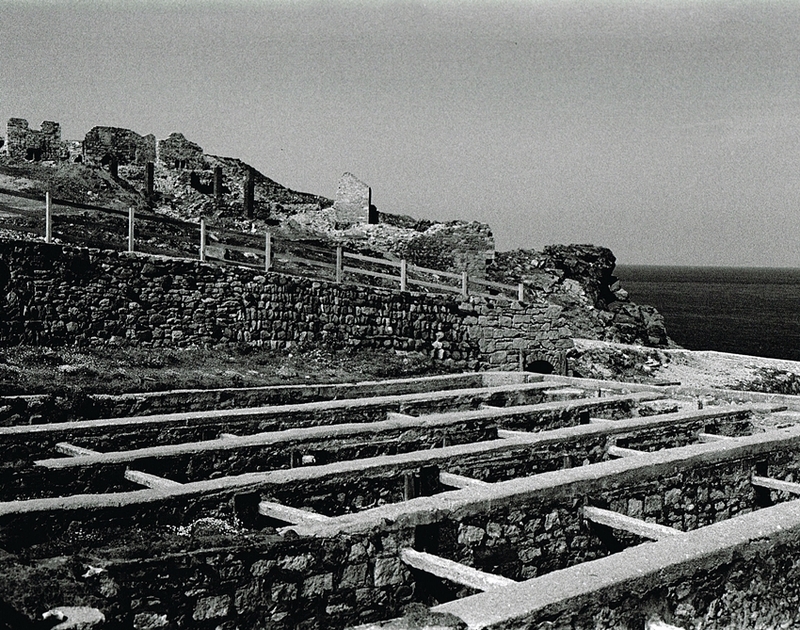 The foundations for the stamps can be clearly seen in the background. 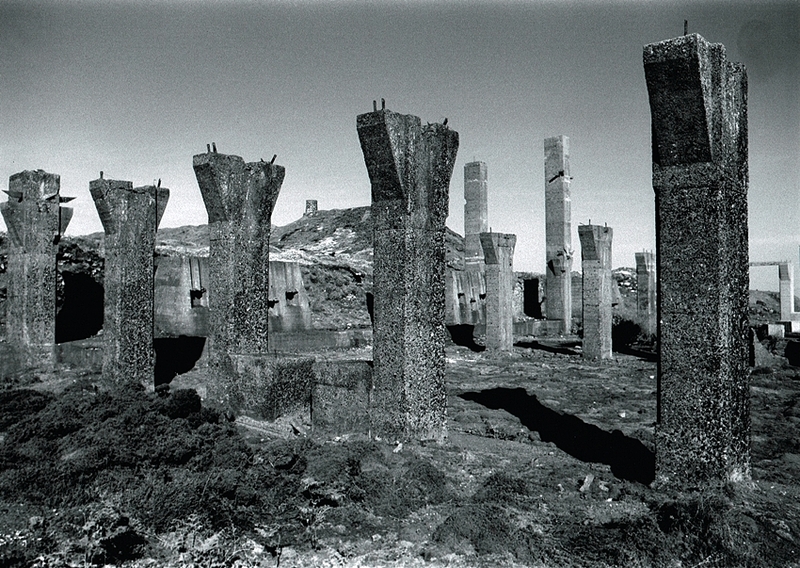 Levant Mine 2.14: The concrete pillars probably old roof supports, make very interesting subjects to photograph. Levant Mine 2.15: The mill here was equipped with 24 Frue Vanners. These were early Shaking Tables which replaced the Buddles around the Calciners. 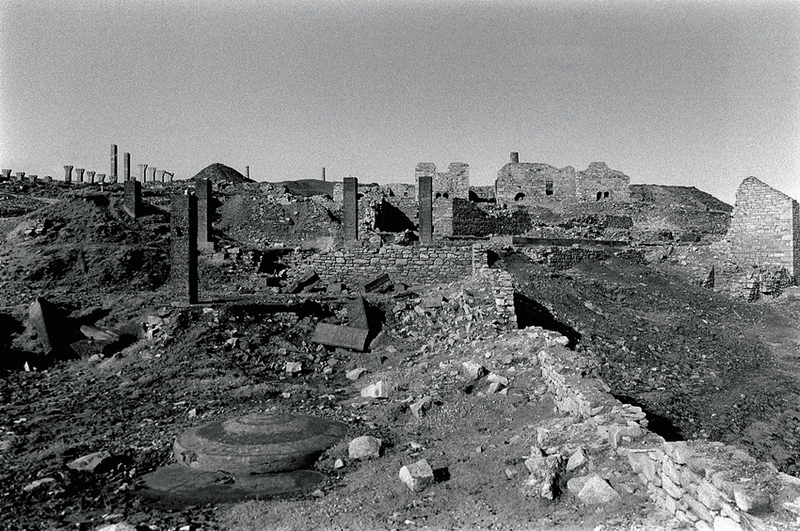 Levant Mine 2.16: The mill had several types of stamps installed, Frazer and Chalmers, Nissan and Californian. Levant Mine 2.17: One of four Calciners at the Levant Mine Dressing Floors. 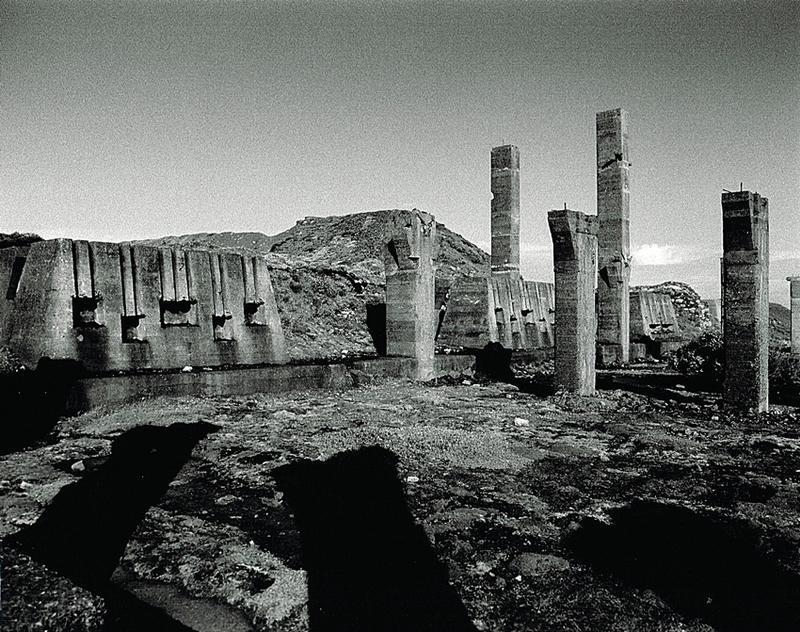 These were erected in the 1870’s, to remove the Arsenic impurities from the ore. In the foreground is a large Buddle. Levant Mine 2.18: A closer look at the bank of Calciners. 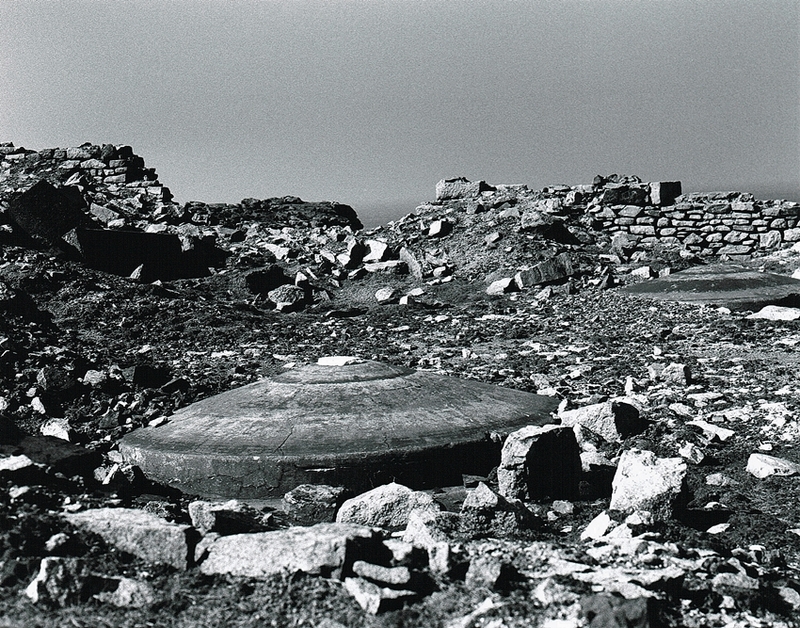 In the foreground are the remains of a Copper precipitation tank. 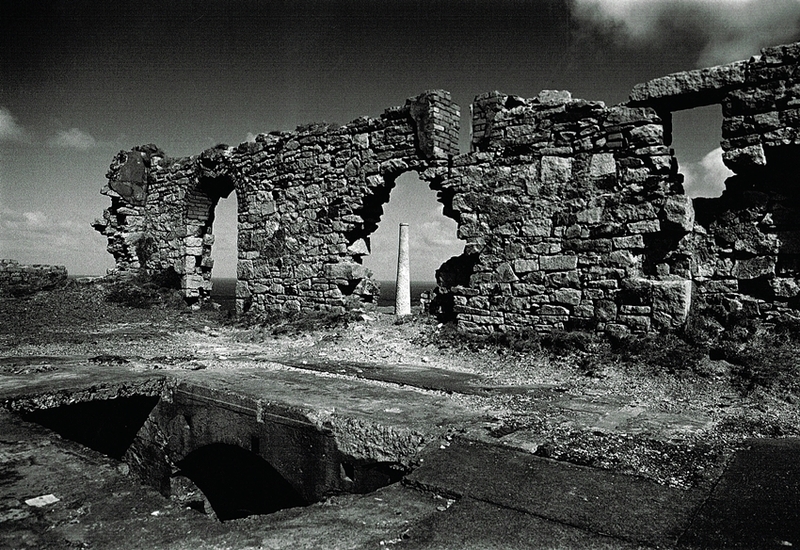 Levant Mine 2.19: The extensive flue where the Arsenic was recovered would have been behind the remains. Sadly it was removed because of safety concerns. Levant Mine 2.20: A second pair of Buddles on the “Old” Levant Mine Dressing Floors. Levant Mine 2.21: Another wider view of the site. When it was working this would have been covered in timber buildings. 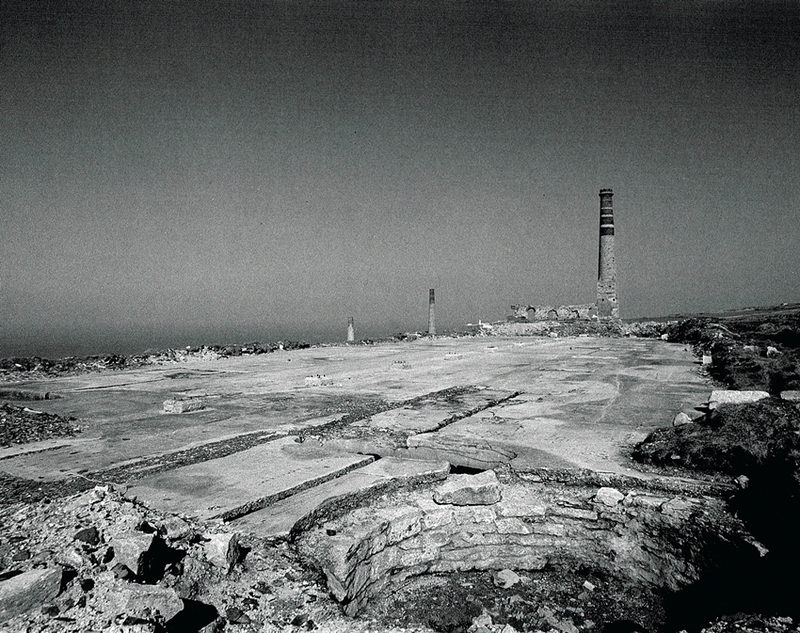 Levant Mine 2.22: These are the remains of the extensive Slimes Settling Tanks on the Dressing Floors. Levant Mine 2.23: When the mine was working, the Slimes from the Mill and Dressing floors were fed into here to settle out. The water was then drained off, the remaining mud was moved to tanks were it would dry. Finally it was fed back into the milling process to recover any remaining Tin content. Levant Mine 2.24: Sluice gates below the Slimes Tanks for draining off the waste water. 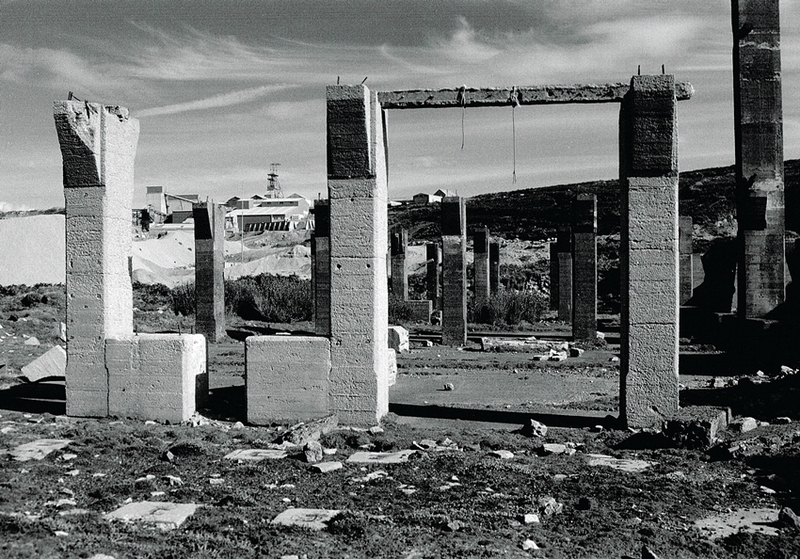 Levant Mine 2.25: A Buddle frames the image of the “old” Dressing Floors. 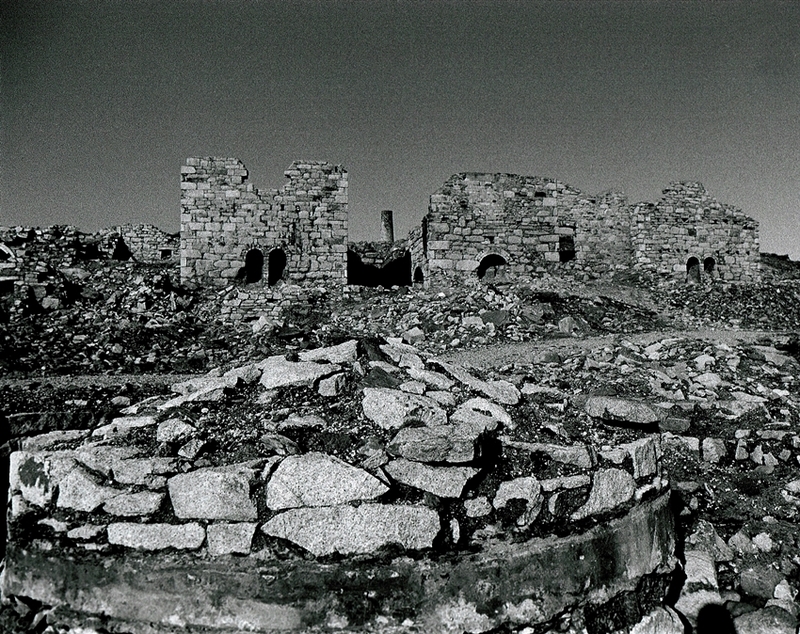 Levant Mine 2.26: Another image of the extensive settling tanks. Levant Mine 2.27: A final image looking back at the Mill and Dressing Floors. Levant Mine 2.28: Looking back at the processing site from the cliff path. The whole site is very interesting and well worth the time to look around. Levant Mine 2.29: Looking over the “New” Dressing Floors up to Geevor Mine. 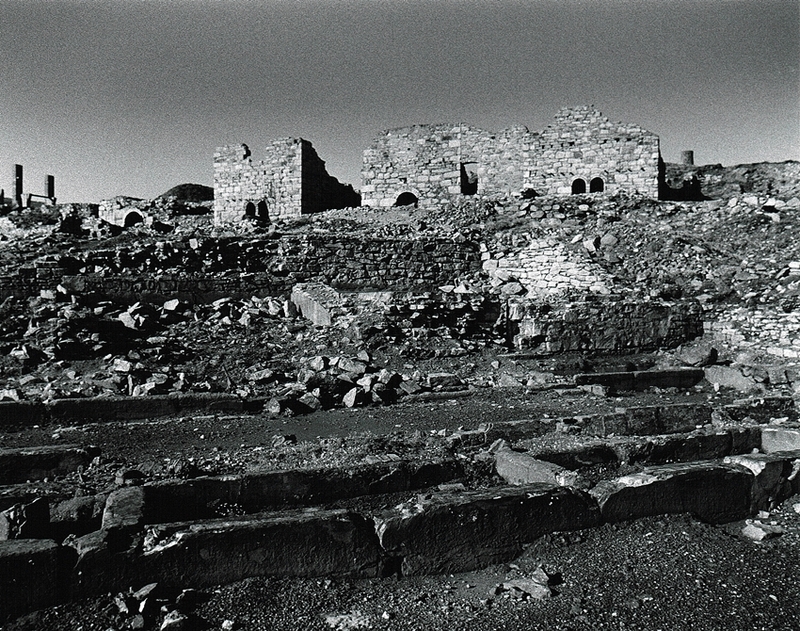 This photograph was taken soon after the mine closed. So, walking up Levant Road the intrepid explorer will come to another one of my favourite sites, Guide Shaft, Higher Bal of Levant Mine. 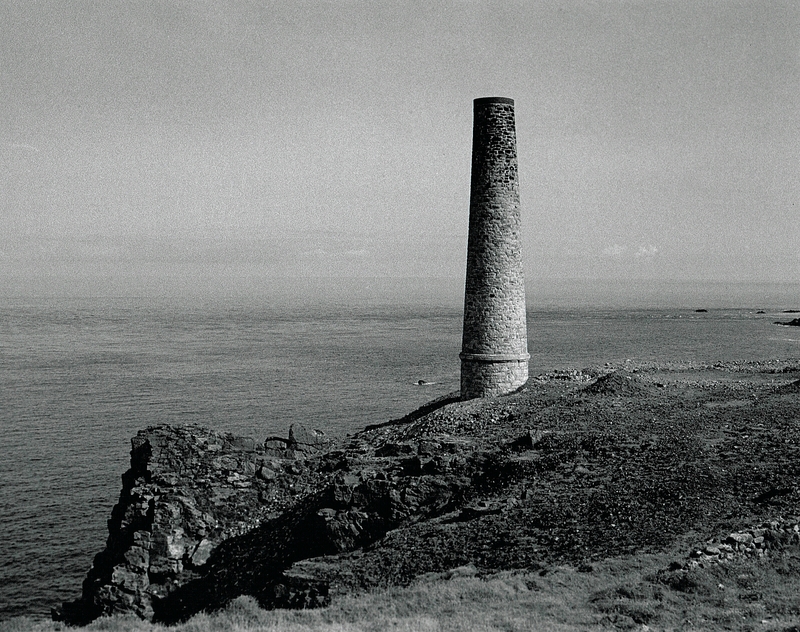 This was originally one of the primary shafts of Spearn Consols Mine, purchased by Levant Mine in 1880 development commenced in 1887. The noteworthy retaining wall in the image is holding back a considerable burrow around the shaft. A stairway leads to the top of the mound, since this image was taken a blocked doorway has been consequently cleared which allows access to the shaft. Levant Mine 2.30: Higher Bal (Higher Levant) Mine, this is the area around Guide Shaft with the distinctive retaining wall. 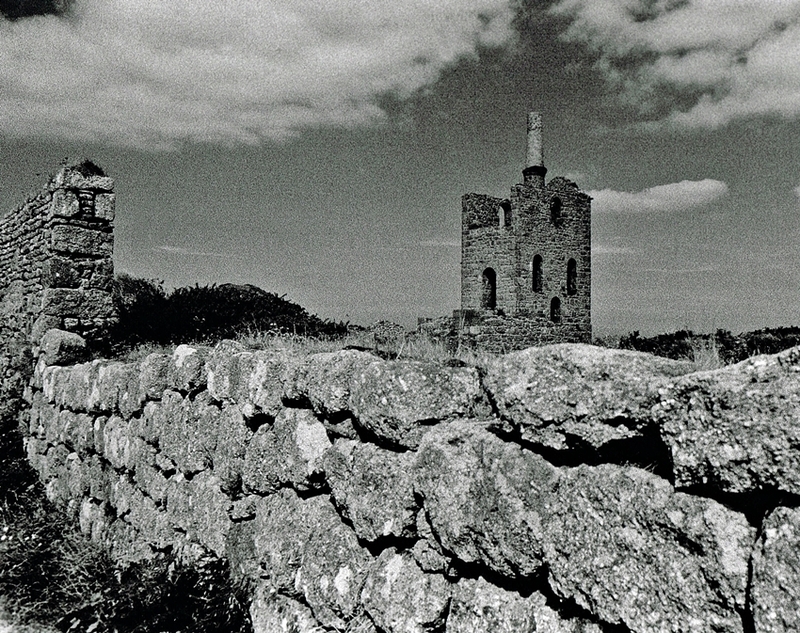 Levant Mine 2.31: The fine Engine House on Guide Shaft. This contained a 35″ dual action engine which both wound and pumped from the shaft, the extensive mountings for the machinery can be clearly seen. 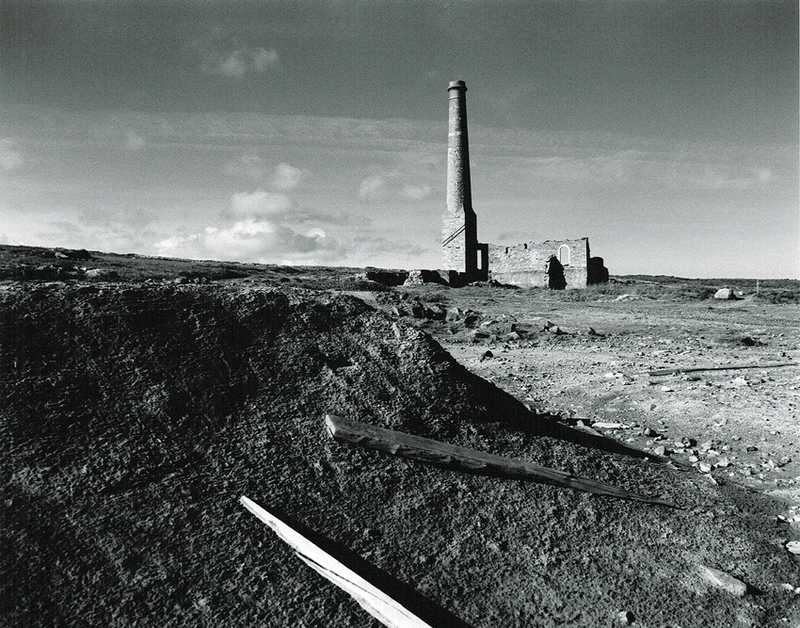 In the background on the skyline is the headframe over Victory Shaft at Geevor Mine. 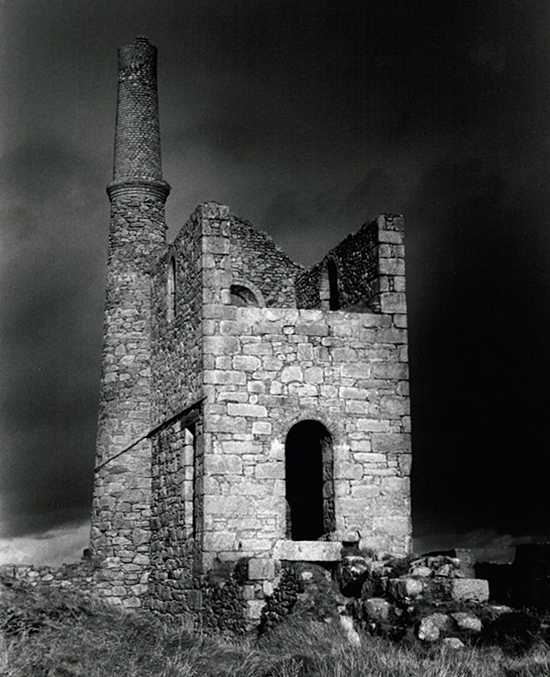 Levant Mine 2.32: A moody picture of the Engine House. Lit by the evening sun against dark clouds, a few minutes after I took this the heavens opened. As a result I was soaked by the time I got back to the pub up the road. 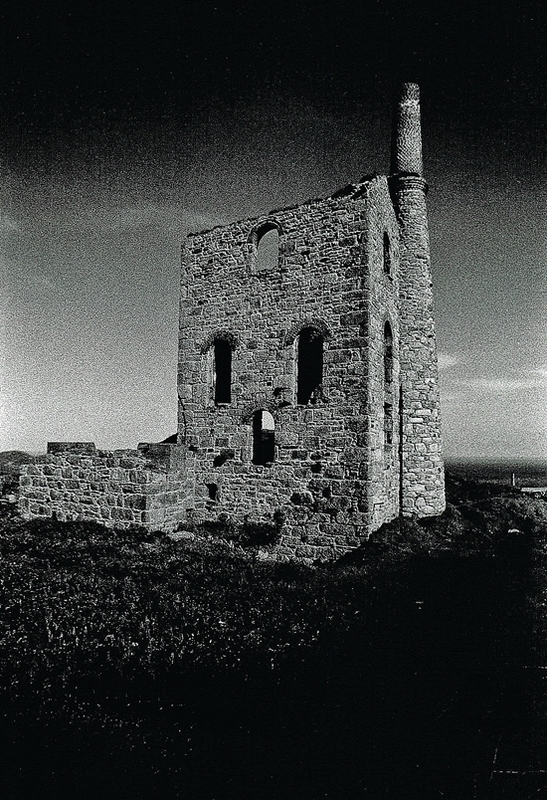 Levant Mine 2.33: The Higher Bal Engine House from the front. 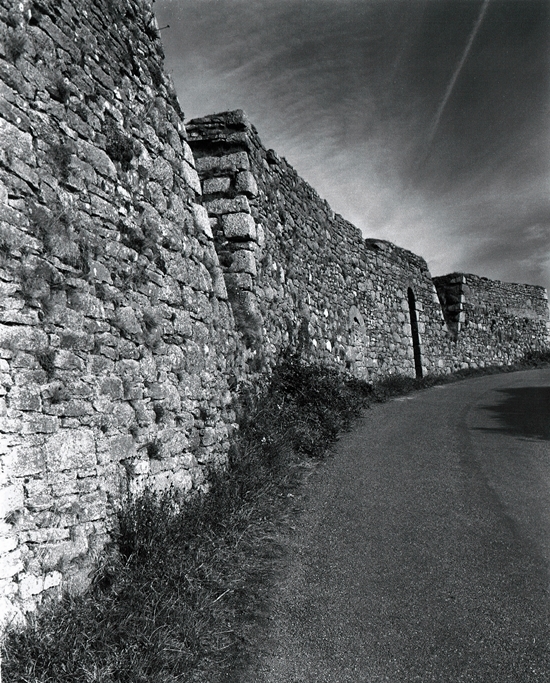 Due to high contrast in the darkroom, the dramatic sky really adds to the image. Levant Mine.2.34: Another image of the Engine House, in the foreground are the loadings for the multi-purpose engine that was installed here. Levant Mine.2.35: Framed by the retaining wall, an image of the Engine House from up the lane. 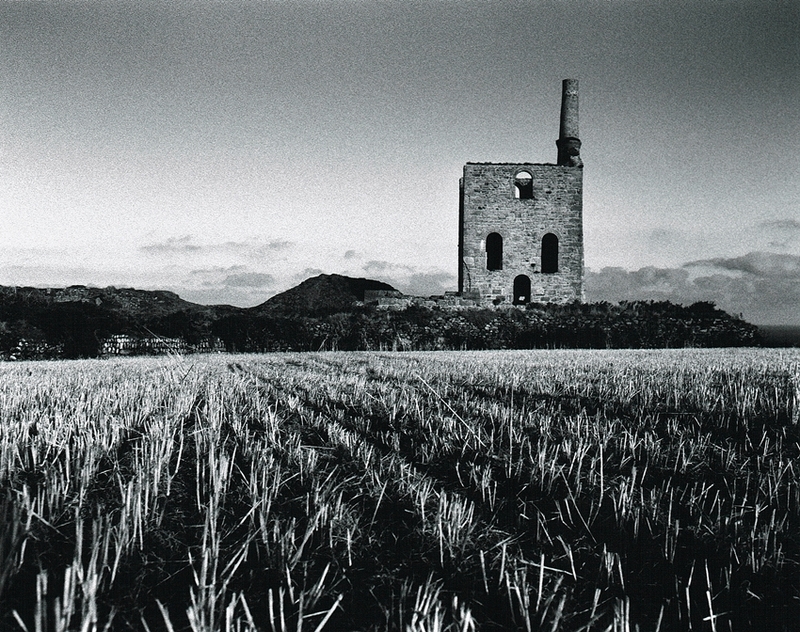 It is one of my favourite subjects to take photographs of in this part of Cornwall. 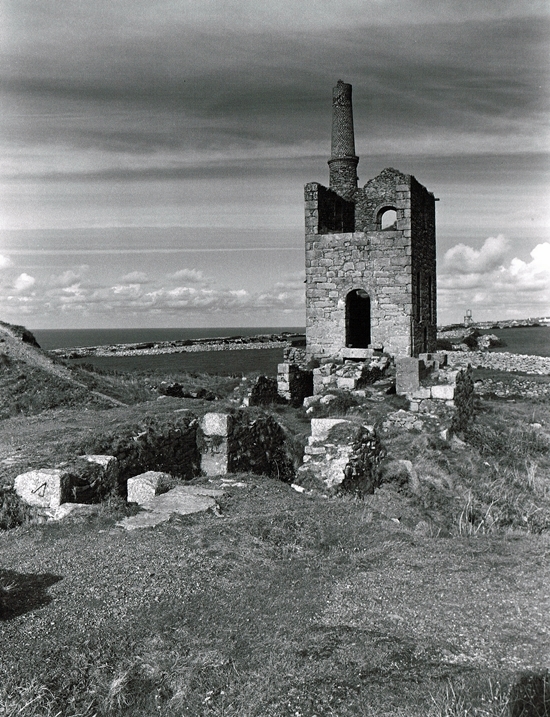 Levant Mine.2.36: Finally the last image on the page is another of the Higher Bal Engine House. Taken across a recently cut field it makes the image very effective. The cliffs here are very exposed to the elements therefore the old miners must be pitied taking their long walk to work. On a stormy day it can be miserable, while in contrast, on a good day the area can not be beaten for dramatic scenery and beauty. 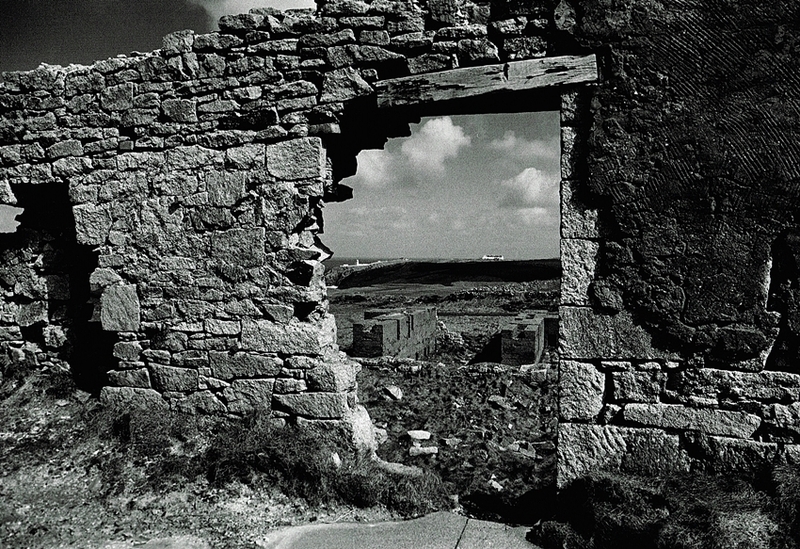 Finally, more information about the area can be found by following this link: The Tin Coast.